While pumping iron at the gym would boost your strength, a holistic fitness regime should always include agility workouts that would help to improve your balance and flexibility. If you don’t have an agility ladder, create one by drawing it on a pathway using chalk. For forward-running workouts, run through each of the spaces in the ladder with your knees raised as high as possible, before turning around and returning to the start. Do 3 sets. For lateral running routines, which are good for improving knee and ankle stability, step sideways into each space, making sure that both feet enter the spaces, one after another, as quickly as you can. Do 3 sets. 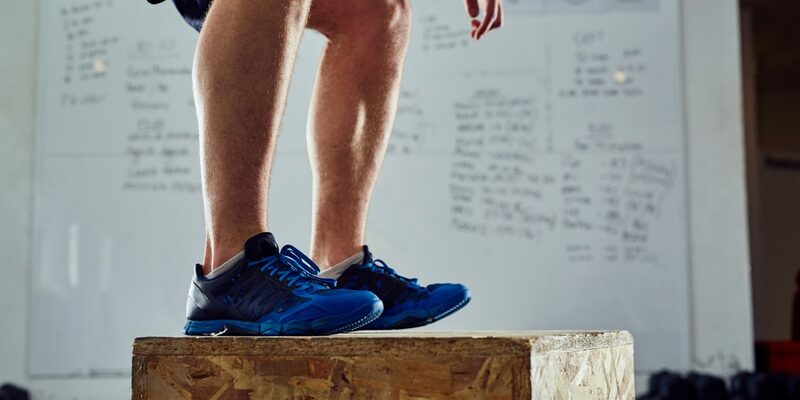 If there isn’t a plyometric box at your gym, simply use any raised platform for this workout. From a standing position, jump onto the box, landing with both feet, before jumping back down. This is 1 rep. Perform 10 for 3 sets. Alternatively, you can also step up using one leg before bringing the other up. Then step up again using the other leg. This is 1 rep. Perform 10 for 3 sets. With your hips drawn back and chest facing downwards, throw the agility ball against a wall and catch the return with both hands. As the movement of the ball is unpredictable, this exercise is ideal for training your reflexes and hand-eye coordination. Vary the workout by trying to catch the ball with either hands, or even tossing it forward into empty space and sprinting after it. Picture a line on the ground and stand with your feet hip-width apart on one side of it. 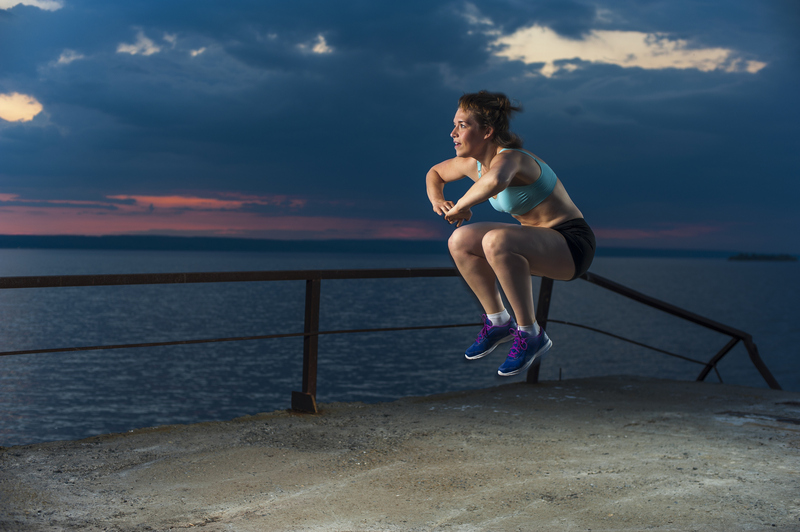 Perform a squat before propelling yourself into the air and sideways onto the other side. Be sure to tense your core and control your landing. Continue jumping across the line for 30 seconds. This is 1 set. Perform 3. With your feet positioned shoulder-width apart, jump and bring your knees to your chest. Quickly grasp your knees using your arms before letting go. Perform the next jump immediately after you land, minimising the time on the ground. Do 10 jumps per set for 3 sets. This workout is akin to the shuttle run, except it’s a lot more exhausting. Establish four lines, with each around twice as long as the previous. A good place to do this would be on a basketball court. Sprint from under the basket to the free-throw line, then head back to the starting position. Without resting, sprint towards the next point in the court before returning to the start again. Repeat this till you’ve completed the circuit. Find a flight of stairs and step up one of the steps till both feet are on it before stepping down, as quickly as possible. Alternate the lead foot after each step. Do this for 30 seconds before resting. Increase the intensity by performing this workout for 60 seconds. While this workout is similar to the box drill, the speed involved means more speed and mobility benefits. Stand about 1m away from a wall while holding a medicine ball close to your chest. Throw the ball against the wall as you move laterally from one end to the other, or for 30 seconds, catching the ball as it bounces back. Be sure you perform one throw for every step you make. Perform 3 reps.